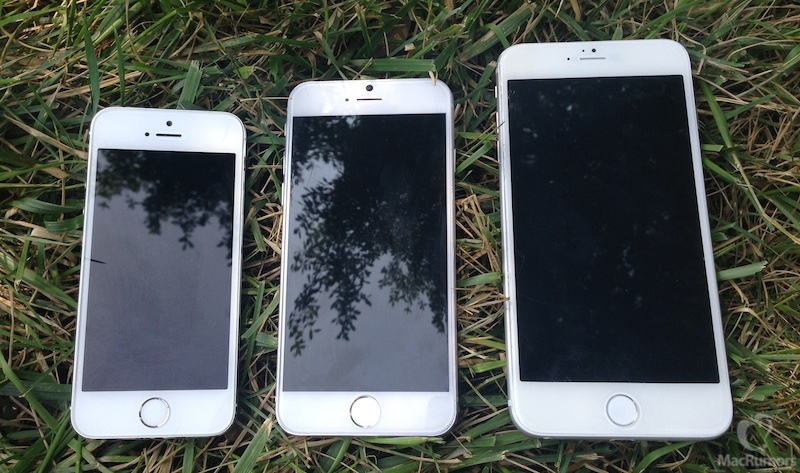 iPhone 6 Said to Launch on Tuesday, October 14, Part of Incredibly Busy Month for Apple. Apple may be planning to launch the iPhone 6 on Tuesday, October 14 as the month itself will be an incredibly busy one for the company, according to a source that spoke toMacRumors citing an internal Apple Retail Store meeting. The source notes that a senior Store Leader mentioned October 14th as being an “immense” day for Apple, adding that the whole month of October would be very busy for stores and the company itself. Apple is also said to planning a media event for Tuesday, September 16, coming a month ahead of the device’s launch. It is unknown if an October release for the iPhone 6 would include both the 4.7-inch and 5.5-inch version, as recent rumors have pointed toward several production issues plaguing the larger model. It is possible that the 5.5-inch may launch later in the year or in 2015 after Apple can produce enough devices. In addition to a larger screen, both versions of the iPhone 6 are expected to feature a thinner profile, a faster A8 processor, and an improvedcamera. Hilton Hotels Now Lets Your Choose Your Room With Your Phone. Hilton Hotels is taking a page out of the airline playbook, giving users more control over the experience through their smartphone. The hotel chain has recently introduced a way for users to choose their room on their smartphone, and promises to roll out smartphone-powered door keys to the majority of their hotels by 2016. Using the new Hilton HHonors app (yes, that name needs work) or the Hilton website, users will be able to choose their room the day before they check in. They’ll be able to see photos of the room, as well as floor plans from available inventory. Hilton will provide the new Choose Your Room feature, as well as mobile check-out, at almost all of its global properties. That’s over 4,000 hotels offering the ability to choose your room by the end of this year. Users will also be able to choose various upgrades for their room and request specific amenities to be ready when they arrive. Plus, use of the Hilton online platform allows for Uber-style checkout, sending your receipt direct to your email. The ability to choose your room and check out via mobile is nice, but it’s only a first step. The real shift begins when Hilton, and other major hotel chains, are able to offer an entirely mobile experience. After a long flight, waiting in line to check in to your hotel can be a real pain. Eventually, however, Hilton hopes that guests will be able to book their room, choose their room, check-in and check-out entirely from their device. “We’ve been working for years on the technology, and now we have a solution, but we have to work on the deployment of that technology which will take some time,” said Calpin. Still, Hilton is taking big steps towards integrating our digital lives into the travel experience the same way airlines have. The Hilton HHonors app is available across Android, iOS and Windows Phone. 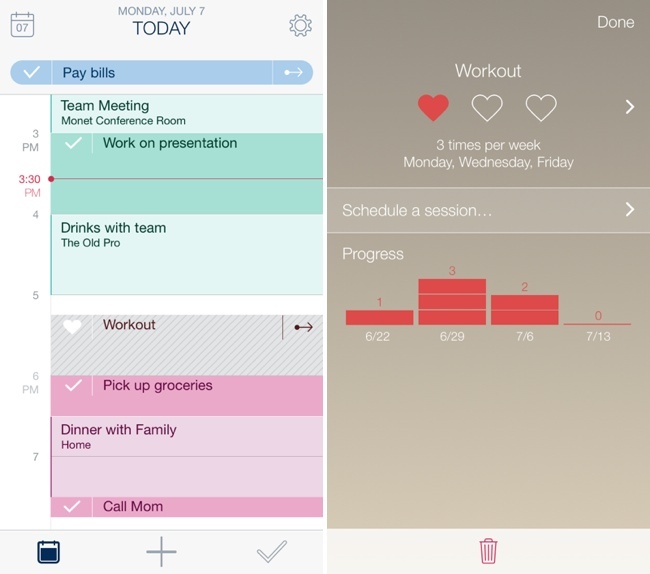 Intelligent Time Management App Timeful Launches on iOS. Timeful, described as “the first intelligent time manager” for mobile devices, is a new iOS app designed to help users manage their lives by combining a time management app with a calendar, a to-do list, and habits. Timeful aims to provide a personalized experience that encourages people to commit to various self-improvement activities and complete goals. The app connects to the calendar on an iOS device, importing already existing events into a daily view that includes all tasks that must be completed. It also incorporates to-do functionality, allowing users to create tasks and file them under separate colored headings like Personal, Work, Fun, and, Important. To-do tasks can be scheduled for “Today,” “Tomorrow,” “Someday in the next 7 days,” or on a specific date. Specific calendar events can be scheduled in much the same way, entering the task and selecting a time. One major negative of Timeful in comparison to other calendar apps is the fact that it doesn’t accept conversational input, meaning users have to manually select times and dates for calendar events. Along with accepting calendar and to-do input, Timeful also includes a “Habits” feature that sets it apart from other time management and task apps. With Habits, users can enter frequently repeated tasks such as “Take a Walk,” selecting preferred days and times to perform the tasks, which Timeful will then work into a busy schedule. Events and habits show up directly on the calendar at scheduled times, while to-dos are listed at the top and can be completed at any time during the day. As users complete tasks and fulfill habits, Timeful will learn more about a person’s habits, figuring out the optimal time to present each task for completion. Timeful is the first Intelligent Time Assistant that gets things scheduled so you’ll get them done. Timeful combines your calendars and to-do lists so you can see everything that’s competing for your time in one place. It uses sophisticated algorithms and behavioral science to suggest – based on your own available time and location – the best times to schedule to-dos and good habits throughout your day. Apple iPhones allow extraction of deep personal data, researcher finds. Personal data including text messages, contact lists and photos can be extracted from iPhones through previously unpublicized techniques by Apple Inc employees, the company acknowledged this week. Unlocking your iPhone is finally going to be legal in the U.S.
Today the U.S. House of Representatives unanimously passed a bill that lets customers legally unlock their cell phones and switch carriers. The same bill was passed in the Senate last week, and now President Obama is expected to sign it into law. The process of unlocking a phone to take it to another carrier in the U.S. has been a convoluted and questionably illegal one. The “Unlocking Consumer Choice and Wireless Competition Act” is designed to make the process easier for those looking to take phones to a different service provider. But there’s an important caveat. That’s right, legal unlocking is only being applied to situations where the life of a carrier contract has been fulfilled and you own the phone outright. A decision by the U.S. Copyright Office in 2012 made it so you to have to ask your carrier’s permission to get your phone unlocked after your contract was up. If this new bill is made into law, the same exemption could be applied to a broader set of devices, including tablets. 5 ways iCloud Drive will upgrade your life. While iCloud has been a trusty storage companion for photos and documents, Apple’s recently announced iCloud Drive upgrades what we already know and love about the service. In today’s video, we take a look at five ways iCloud Drive will upgrade your life when Apple rolls out the enhanced service alongside iOS 8 and OS X Yosemite. BlueLounge Kickflip: An incredibly useful MacBookPro accessory. I write a ton of hardware reviews for TUAW, and I really get tired of seeing overpriced stands for MacBooks. The idea of these things is to just put your device into a comfortable position for typing while you’re using the laptop on a flat surface or lap, but some of the accessory designers think that you want an expensive museum piece instead. Not so with the BlueLounge Kickflip, a US$19.95 (for 15-inch MacBook Pro with Retina display) or $17.95 (for 13-inch MacBook Pro with Retina Display) adjustable stand that adds no bulk and almost no weight to your favorite Apple laptop. The Kickflip was released today by BlueLounge, in an act of perfect timing for the back-to-school crowd in another month. The Kickflip is made of a piece of black polyurethane that is hinged in the middle. It’s attached to your MacBook Pro (or in my situation, a Speck SmartShell case) with a special gel adhesive band that makes it possible to remove it without damage. Normally, the Kickflip adds just a little height — maybe about a quarter-inch — to the back of your MacBook Pro. 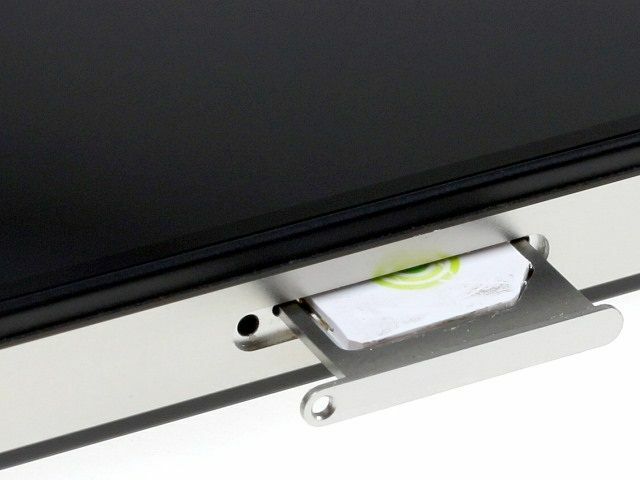 But when you flip down the hinged piece it raises the back of your laptop by about 1-1/4 inches, enough to really make a difference. Installation of the Kickflip on either a “naked” MacBook Pro or on a shell like that I have installed on my MBP is quite simple — you just remove a piece of paper off of the gel adhesive, align the top of the sticky portion with the back of your laptop, and press it into place. The adhesive has a strong grip and inadvertent removal of the Kickflip should not be an issue. So, now you’re typing away on your MacBook Pro and need a little bit of angle to the keyboard to make it a bit more comfortable? Just reach under and flick that “kickstand” down and you’re good to go. Ready to pop your MacBook Pro back into its carrying bag? With one hand, you can flip the Kickflip back up and get it out of the way. I’m a sucker for well-designed products that are inexpensive, and the Kickflip from BlueLounge fits that bill. It works with either size (13- or 15-inch) MacBook Pro, and as you can see in my photo at the top of the page, it’s also compatible with third-party shells. I just wish it had the ability to lock into one more interim position as well in order to give it just a tad more flexibility.